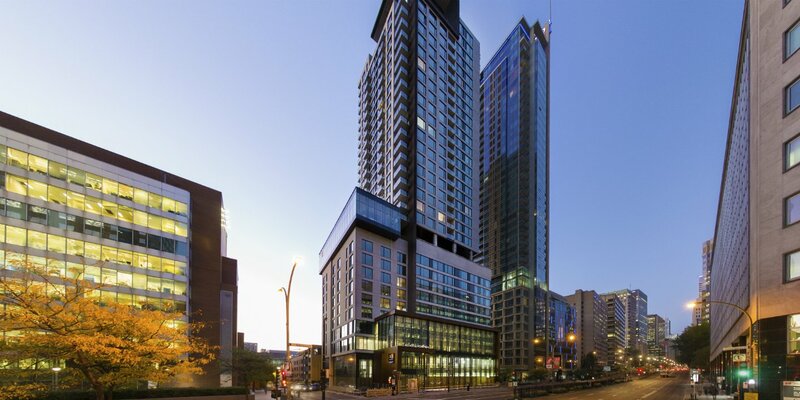 AC Hotels has opened their first luxury hotel here in Canada and they’ve picked Montreal as their first city to put roots down here. I honestly couldn’t think of a better fit for the brand and Montreal as they’re known for their European elegance and design. 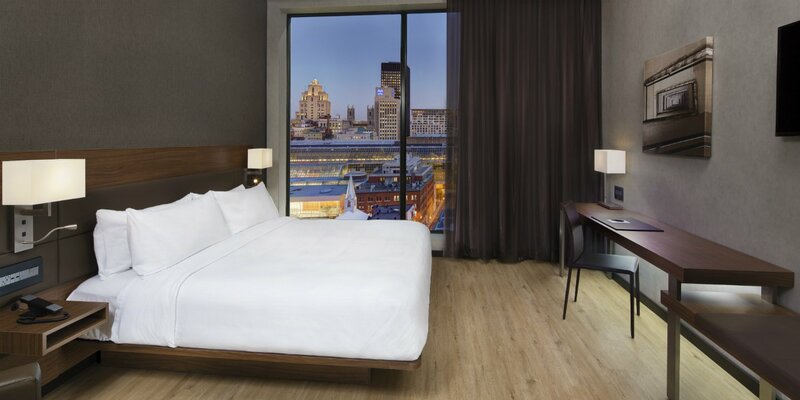 The AC Montreal is situated downtown in the heart of the newly redeveloped Quartier des Spectacles. A 5 to 10-minute stroll can bring you to Old Montreal, Chinatown or the Convention Center. 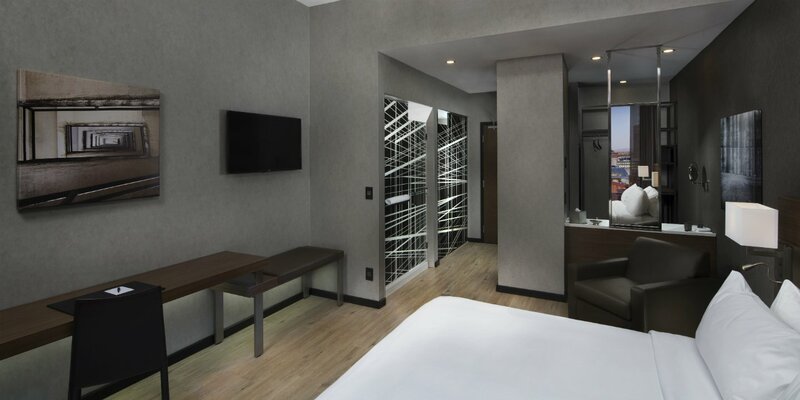 There’s no better location to be and this AC Hotel is a great addition to the area. Design wise I love the minimalistic interiors, this is a feature I think is not only smart but keeps in line with the brand’s overall style. When you’re in Montreal for pleasure, you’re not typically spending a lot of time indoors so its nice to have a quality room to come back to. 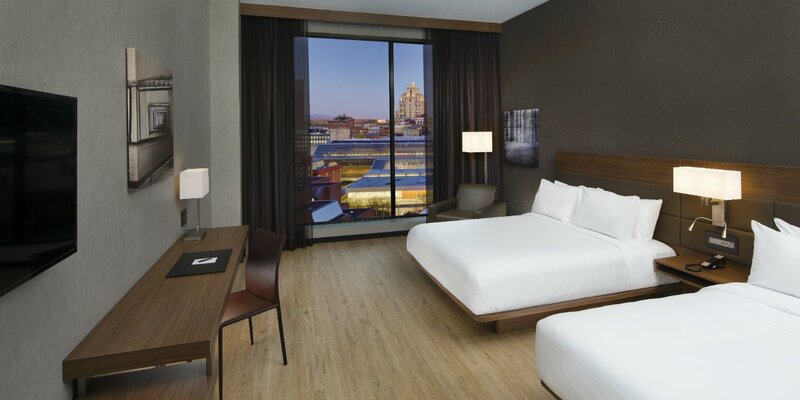 On the 12th floor you’ll find the hotel pool which offers guests a panoramic view of Montreal. Downstairs you’ll find the AC Lounge for grabbing drinks, having a meeting or just getting some work done. There’s also a Mediterranean-inspired tapas restaurant by Chef David Capel called Restaurant La Palma.